Take Joseph L. Mangiardi, who died in 2000. Lots of money was spent on lawyers in this mess. I noted earlier court cases in this same tax kerfuffle here: Paying Taxes Pennies On The Dollar. Mangiardi’s daughter Maureen was co-executor of her dad’s estate. When she filed the estate tax return in 2001, the tax due totaled about $2.5M. The estate was mostly stock and a retirement account, but there was plenty of value so there should have been no problem. Stock prices were low, so it made sense to let them rebound before selling. The estate asked for time and the IRS said sure. The IRS and heirs would both do fine. You can guess what happened. Instead of waiting for stock prices to rebound, the executors must have thought they were Gordon Gekko. They engaged in active trading of securities, buying and selling. Unfortunately, they weren’t Gordon Gekko and lost money. That was bad enough. But like Gordon Gekko, the executors were paying themselves hundreds of thousands of dollars in fees. The IRS got pretty annoyed. The IRS first went after the estate but found it was insolvent. Meanwhile, the tax debt had ballooned to over $3 million. See U.S. v. Mangiardi. 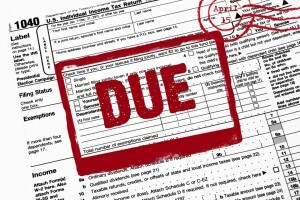 A Denver-area lawyer has been indicted for allegedly defrauding the Internal Revenue Service, the U.S. Attorney’s Office in Denver said Monday. According to the indictment, the lawyer, Eva Melissa Sugar, 59, worked with Financial Fortress Associates, an organization that the government said promoted and advised clients on schemes to avoid the payment of income and other federal taxes. Sugar, of Aurora, is self-employed and specializes in tax and other legal matters in Denver. The indictment accuses Sugar and others of conspiring to defraud the United States for “the purpose of impeding, impairing, obstructing, and defeating” the “lawful functions” of the IRS. A court-appointed attorney accused of federal tax fraud showed up in court and pleaded not guilty on Friday. Danielle Ross is currently suspended from her job as the attorney who represents the interests of children in Lackawanna County family court. Earlier this week, Ross was indicted on federal tax charges. Ross and her attorney said they will fight the federal charges of tax evasion and filing false income tax returns. She was suspended from her position of guardian ad litem in Lackawanna County court. Guardian ad litem represents the interests of children in court in custody and visitation hearings. Ross has worked on hundreds of those cases and some of the families were in court Friday. They claimed that Ross’s claims were biased and not based on facts and her billing was excessive. Ross is facing charges that she did not pay taxes on the billings above her base salary. 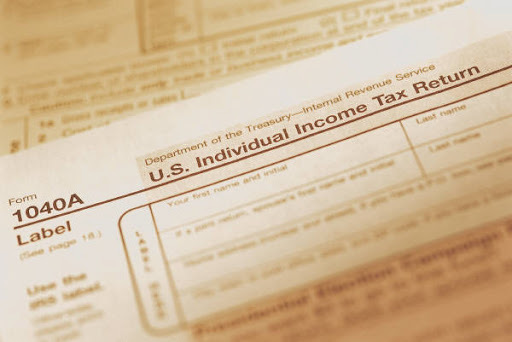 A federal grand jury indicted the legal advocate for children in Lackawanna County, Pennsylvania on charges of tax evasion and filing two false federal income tax returns stemming from her failure to report payments she received from parents. Attorney Danielle Ross, who was appointed by the court to represent children in parent custody disputes since 2008, did not disclose to the IRS any of the income from the payments she received from parents in 2009 and 2010, according to the four-count indictment handed up in Scranton on Tuesday. Erie County District Attorney Frank A. Sedita, III announced that 40 year old Charmesa Brown of 32 Linda Drive, Cheektowaga, pleaded guilty, as charged, this afternoon to Grand Larceny in the Second Degree and Offering a False Instrument for Filing in the First Degree before County Court Judge Thomas P. Franczyk. These are the highest charges for which the defendant could have been convicted had she gone to trial. Brown admitted that during the period between October 6, 2010 and July 11, 2012, while employed as an Administrator with Basset Manor, 245 Bassett Road, Williamsville, she stole a total of $110,174 from an elderly patient. Brown agreed to assist the victim by writing checks to the facility, but also wrote checks payable to herself. Brown did not report those earnings on her New York State Income Tax return. The nursing facility has agreed to make the victim whole. This is the third major financial elder abuse conviction obtained by the Erie County District Attorney’s Office within the last month. On October 17, 2012, paralegal Pamela Blood pleaded guilty, as charged, to Grand Larceny in the Second Degree and Offering a False Instrument for Filing in the First Degree, in connection with an embezzlement of over $300,000 from an elderly client. On October 30, 2012, con-man Richard Kesick pleaded guilty to bilking a 91 year old priest out of more than $500,000. District Attorneys’ Association President and Manhattan DA Cyrus Vance, Jr. announced the formation of the New York White Collar Crime Task late last month. Ms. Brown is scheduled to be sentenced on February 1, 2013, at 9:30 a.m. before Judge Franczyk; she faces maximum prison sentence of 19 years.